The commissioner of the National Basketball Association has some big ideas for changes to the league. However, not even he is sure people are going to want hear them. 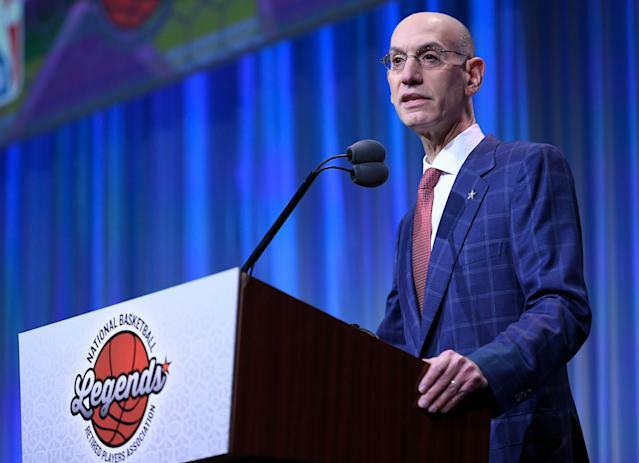 NBA commissioner Adam Silver discussed a wide range of ideas to change the league’s format during a news conference Friday covered by the Associated Press, entertaining the possibility of midseason tournaments and changes to how much basketball is played under the league’s logo. Silver, who has discussed ideas like this before, openly admitted that the NBA’s regular season could be losing its luster. ''The format we have in place now - I'm a traditionalist on one hand, but on the other hand it's 50 years old or so, presenting an 82-game season, and there's nothing magical about it,'' Silver said. Silver didn’t hold back when trying to answer that last question. To inject some drama during the regular season, Silver painted a picture that sounds a lot like European soccer, where tournaments are woven into league schedules and hold plenty of meaning for fans. "I know for most of the American viewers, that's a very foreign concept because we're not used to having multiple goals throughout the season," Silver said. "But as I said, it's very commonplace in international soccer. It would take a while to develop those new traditions because I think initially the reaction may be who cares who wins the midseason tournament; it's all about the Larry O'Brien Trophy. So we need to take a long-term perspective on these things. Silver doesn’t seem to be proposing anything specific with the tournament idea, but there are a number of possibilities. There could be tournaments deciding certain playoff spots or seeding, a short tournament replacing the All-Star game (something Silver has said in the past “didn’t work”), maybe even a tournament among lottery teams for the top pick. Silver is thinking outside the box, and that could could go in plenty of directions. What if the NBA just played less basketball? Another idea Silver reportedly mentioned was simply shortening the games from 48 minutes to 40, the length of college basketball games. To be clear, none of this is a formal proposal or on the table during negotiations with the players union. It’s just Silver wondering aloud how to fix some of the league’s present and future problems, and that should be a healthy dynamic. None of this is happening unless a good chunk of the league, especially the players, is on board. Most importantly, the fans need to be interested. Even with such obstacles, it’s still an interesting idea to think about as the NBA prepares for the future.